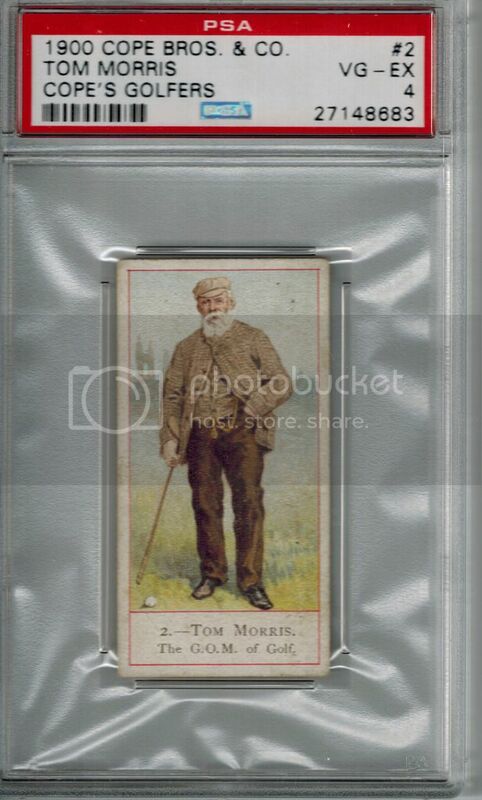 There doesn't seem to be a recent pick-up thread for golf cards over here, but I finally picked up my favorite golf card a few weeks ago: a 1900 Cope's Golfers Old Tom Morris. I am casual golf fan at best, but I have long loved the Cope's Old Tom. 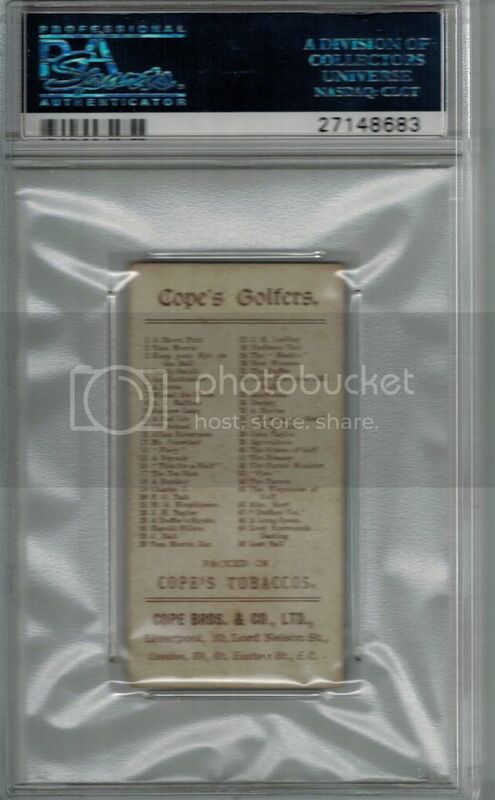 I know that supply and demand dictates prices, but it does amaze me how cheap most vintage golf cards are once you get past the U.S. Caramel Bobby Jones and some of Jones' extreme rarities. Last edited by Bored5000; 06-13-2017 at 06:28 PM. Nice card. Welcome to the club, I also have one golf card. Thanks for the kind words. Over the past couple years, I have really gotten into cards from non-sports and sports outside the big four because there is so much cool/rare stuff to be had at accessible prices. I agree, there are some amazing non-sports and other sports cards out there. I really like the bird and dog cards from the early 1900's. Some day I am going to pull the trigger and start buying some. Here is my only golf and only boxing cards. I agree 100%. I have picked up a few over the years for next to nothing and I am mainly a memorabilia guy.